The art department behind the Endgame series is always ahead of me. I've been making fan-made covers for the next books in the series and they always surprised me with something astounding and far beyond what I imagined the covers would look like. 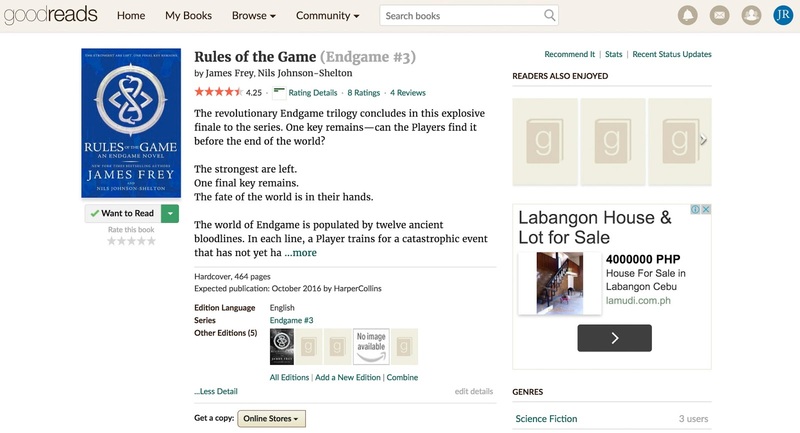 Still, I am flattered that Goodreads will use my fan-made covers as placeholder images. I've always thought the cover of the final book in the trilogy would be bluish and sub-imposed by something that has greatly to do with the series. And now I am stumped, as again, they have proven my assumptions wrong. Instead of the bluish palette (to follow the color schemes of book covers), we get a greyish black cover, featuring a star-filled night sky -- and constellations! 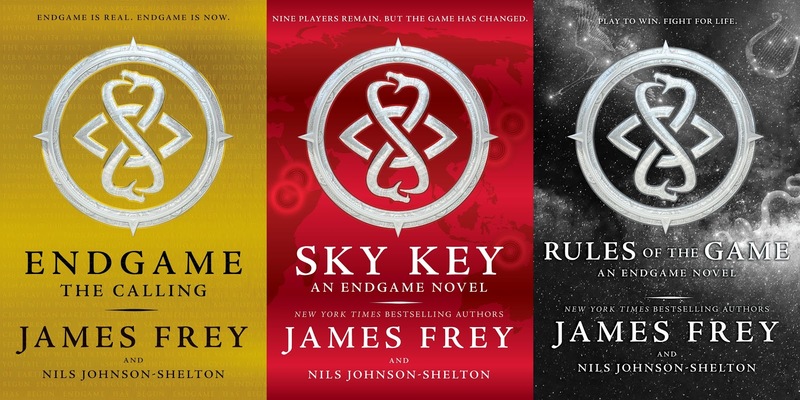 Check out the official cover of Endgame #3: Rules of the Game by James Frey and Nils Johnson-Shelton. And so here is the entire Endgame series! The explosive final novel in the Endgame trilogy. Two keys have been found. The strongest Players are left. One final key remains to win Endgame and save the world. No matter what they’re Playing for, all of the remaining Players have one thing in common: they will end the game, but on their own terms. 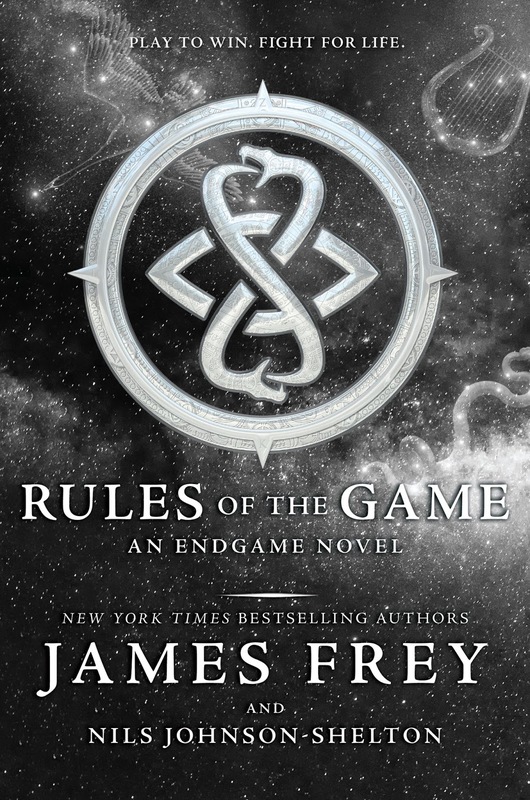 Rules of the Game by James Frey and Nils Johnson-Shelton will be released on December 27, 2016. Another change in detail since it was originally set for October 4, 2016.